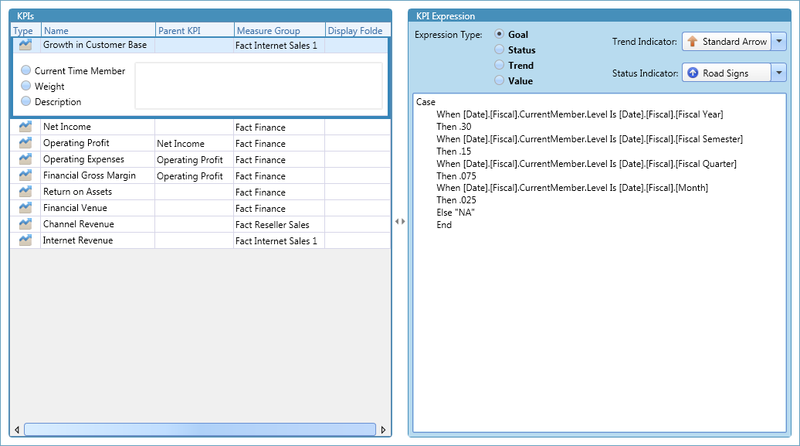 Use the KPI editor to create and edit KPIs. 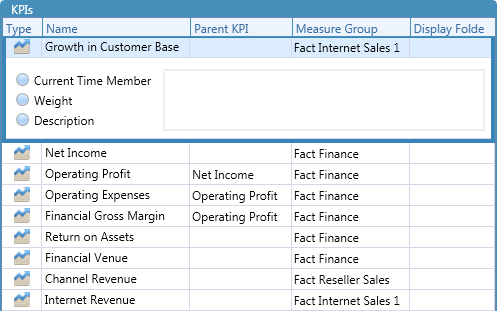 Enter a KPI's name, parent KPI, measure group, and display folder in its data grid row. 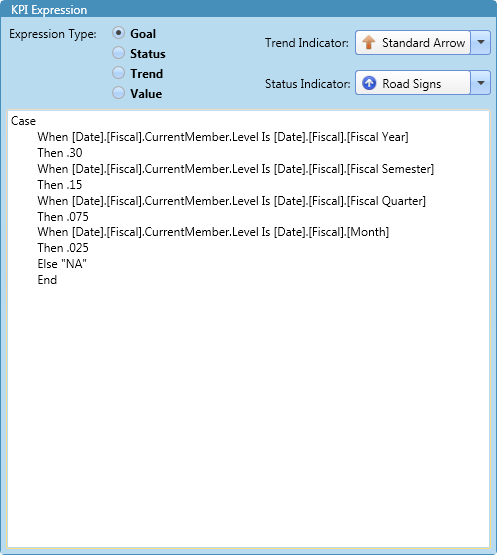 Specify a KPI's Current Time Member, Weight, and Description in the row's details area. Select an expression type and type in a MDX expression for that type. Also, specify a trend indicator and status indicator for a KPI. KPI Add a KPI to the cube.